Stability of the atlantooccipital joint is of vital importance. The ligaments of this region, for the most part, have been thoroughly investigated, except for the lateral atlantooccipital ligament (LAO), which is not described in most modern texts. 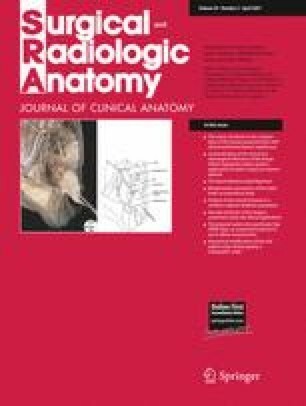 The authors examined 20 adult cadaveric specimens to observe the morphology of the LAO. All specimens were found to have an LAO, bilaterally, immediately posterior to the rectus capitis lateralis muscle with a fiber direction more or less opposite to this muscle. The LAO was found in intimate contact with the vertebral artery posteriorly and with the contents of the jugular foramen anteriorly. In all specimens, the origin of this ligament was from the anterolateral aspect of the transverse process of the atlas and the insertion onto the jugular process of the occipital bone. The fibers of the LAO had a mean angle of 26° from the midline. The mean length and width of this ligament was 2.2 and 0.5 cm, respectively. The mean thickness of the LAO was 2 mm. The average tensile strength of this band was 37.5°N. The LAO remained lax with flexion and extension of the craniocervical junction. With contralateral lateral flexion of the craniocervical junction, the LAO became fully taut at a mean of 8°. Partial, but never complete, tautness was observed with rotation of the occipital on the atlas bilaterally. Following sectioning of the LAO, approximately an additional 3°–5° of contralateral lateral flexion was observed. The LAO is a constant anatomical structure of the craniocervical junction that might be of concern to the clinician. This ligament inhibits lateral flexion of the atlantooccipital joint and its disruption appears to add to instability at this articulation.